I've just watched this documentary on the Freeview channel 'Together'. 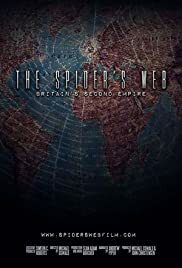 It's a fascinating, compelling and well-made film about how the City of London increased its influence through the use of tax havens after the break up of the British Empire. The documentary is extremely informative and eye-opening, but be warned, it can also leave you feeling angry and disillusioned about how successive governments, politicians, and the Establishment have combined to legally defraud the tax payer. Sadly, nothing seems to change, probably because the same people who could actually do something are the very people who are enriching themselves through these tax havens. I really enjoyed this well-made film and I recommend it to anyone who has an interest in current affairs.